Google Analytics can be your good friend when it comes to deciding what to blog next. In recent weeks there has been a steady stream of readers popping on to Messy Wands looking for a Burberry 'Light Glow' Natural Blush in No. 07 Earthy Blush review, and how could I resist complying? It is one of those rare blushes in my collection that I use so often that the pattern on the surface is almost entirely gone. I am certainly remiss, reader, for not sharing this miraculous pan of matte brown earlier. Burberry's product packaging is one of the sturdiest in the market. All their items are housed in metal, industrial-looking cases bearing the signature Burberry check print. I enjoy the fact that the gunmetal hue serves to detract rather than attract attention to fingerprints, unlike YSL's gold. A part of me thinks the item is quite heavy, so it might not be the best for traveling, but on the other hand, the hefty packaging ensures that the contents remain safe. The included brush is soft and works exceedingly well, which means one less thing you have to carry. I'll leave this decision up to you. 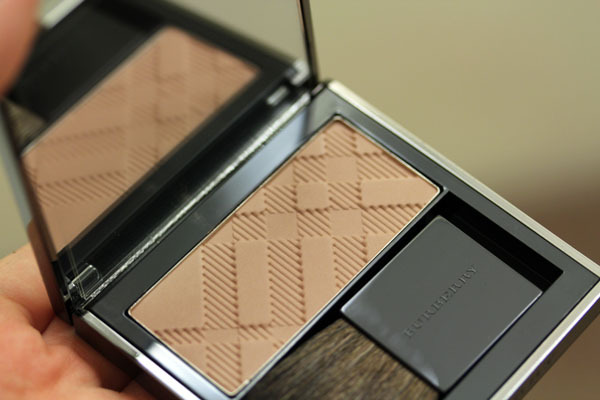 Burberry powder products are some of the most finely-milled I have ever had the pleasure to touch. They are soft, easily blendable, and the colors are completely in line with the brand's "classic, polished beauty" aesthetic (and who doesn't want to be a classic, polished beauty?). It is difficult to believe that the company only launched its beauty line less than two years ago. The entire collection is strong and well-curated. The only thing I need from them now are palettes! Burberry Earthy is my go-to contour shade. you probably know by now that I am very fond of accentuating my cheekbones. I rarely put on make up without adding a swipe of brown below the apple of my cheeks. Earthy has just the right amount of rosiness that it doesn't make me look muddy. 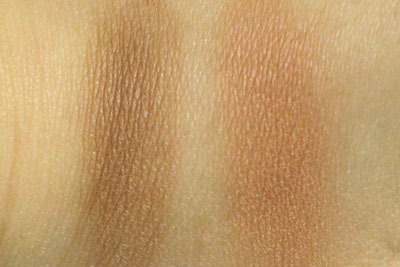 Instead, it's the color of a healthy shadow, and with targeted application creates the illusion of sharper cheekbones. All Burberry products come with a particular scent that is negligible when applying on the cheeks (you can't smell it beyond application). 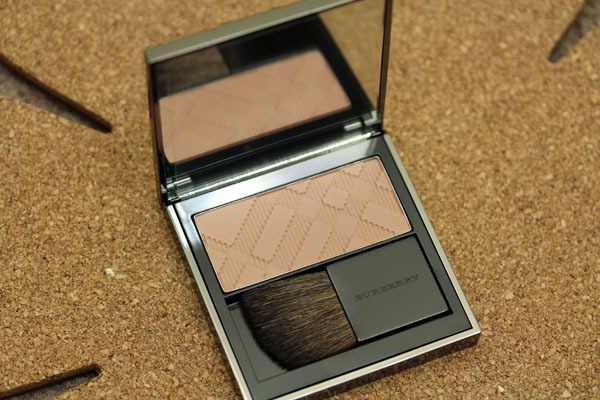 Burberry 'Light Glow' Natural Blush in No. 07 Earthy Blush retails for $42 and can be found at burberry.com, nordstrom.com, and the Saks Fifth Avenue store in New York City. Oh wow, this makes your gorgeous cheekbones stand out even more! Now I want some Burberry! This is a lovely blush + contour powder! I was curious what brush do you use to contour? Thanks!! I miss you!! Hope you are having a great time in London Baby! Ooh, this would make a good contour powder for my kit! I'm not a big fan of the MUFE sculpting powder that came in mine =/. I agree. Google provides excellent tracking tools for bloggers. Though I have yet to master how to use every single one of them. Gorgeous color. This blush looks natural and nice. I love the sheerness of the blush - I've got Tangerine - and the flattering shades! Gorgeous! I love Burberry and have been thinking about getting Rarthy, thanks to your post and swatches this will be mine, thanks. Finally! After introducing the Tangerine Blush to me on Twitter ages ago... It's everything you said in this post and much more. If only the prices are not that steep I'll start a collection (Light Glow Natural Blush retails at $70 in Australia). I ordered online and got three of these blushes - Earthy, Blossom, and Cameo! J'adore!!! Thanks for the review.